Its been a slow week on the modelling front, for two reasons; firstly I’ve got s prolapsed spinal disc which makes it very painful to do anything but lay flat on the sofa! Secondly, the excessive sofa laying has lead to an obsession with ‘Elder Scrolls IV: Skyrim’ that Mrs GunGrave kindly picked up for me to play over my 3 weeks sick leave!! That being said, I did manage to get the finishing touches done on my first Doomsday Ark, as it was mostly complete before I was injured. 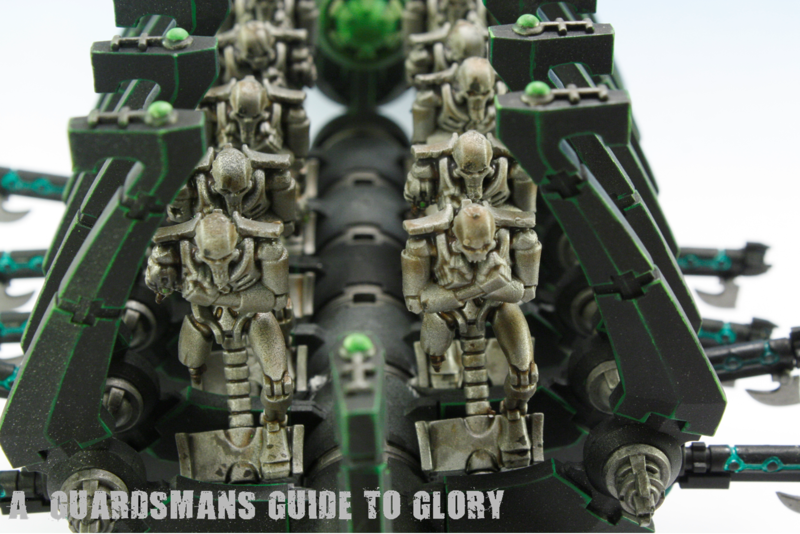 The front of the Doomsday Cannon. I couldn't make the barrel glow with the same colour as the Gauss Blasters, because the paint is to thick and would kill my airbrush. 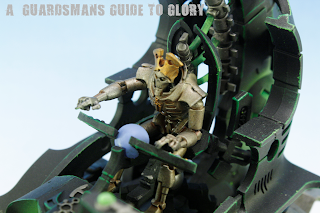 A tiny glow of Scorpion Green was used instead. 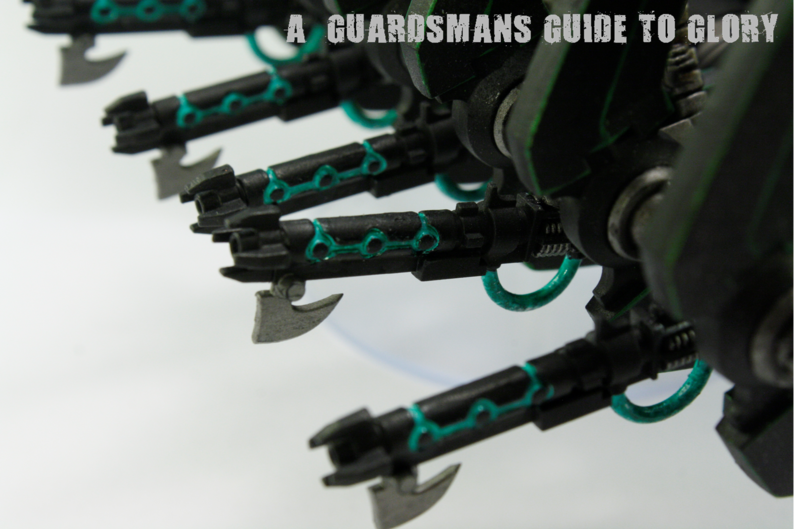 Here's how the armies shaping up so far! Theres another Ghost Ark and Warrior squad in the post and should be here tomorrow (ordered before i hurt myself!) so the force is expanding rapidly. I hope for get some work done on them over the next 3 weeks. I also received my Long fangs from eBay - eventually! 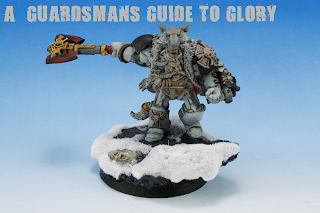 Fortunately i only had to make a squad leader and the rest can stay as they are; albeit with a Space Wolf colour scheme. Gonna try and fit them in at some point soon. That's where i am at the moment. With all this time off on my hands, I'm really hoping to hit the hobby hard next week, and even do some more work on the Apocalypse Terrain: Promethium Refinery project. Finishing the Aqueduct and Sewage Works Pump Station will be on the top of that list. They're finally here! Well, they have been for nearly a week now, and i have not been idle in that time! 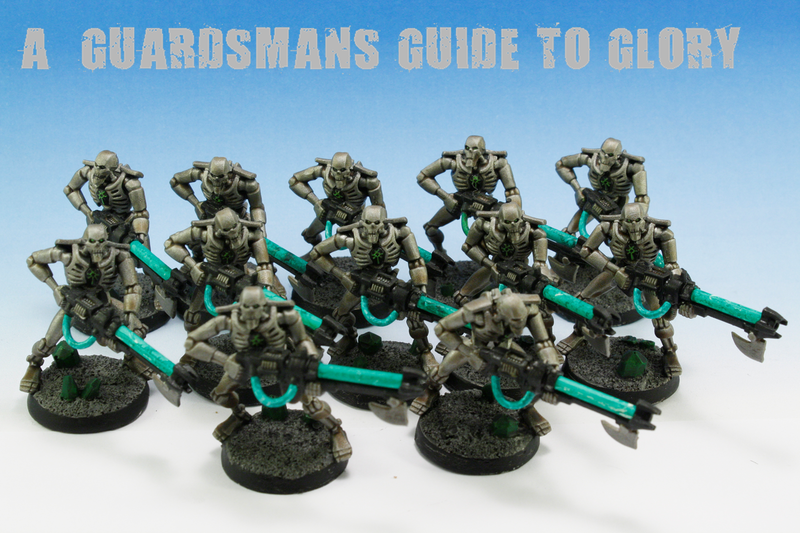 This is to be my very first Necron army and i wanted to get off to a flying start! 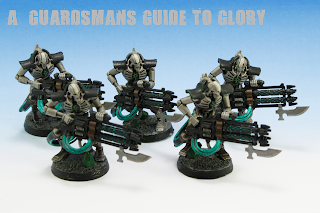 Necron Warrior Squad. 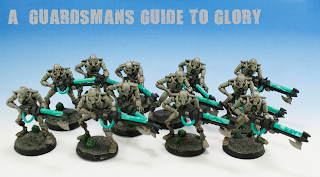 The first of three squads i have planned for my list! I used Army Painters 'Plate Mail Metal' metallic primer. This stuff makes painting Necrons a doddle! 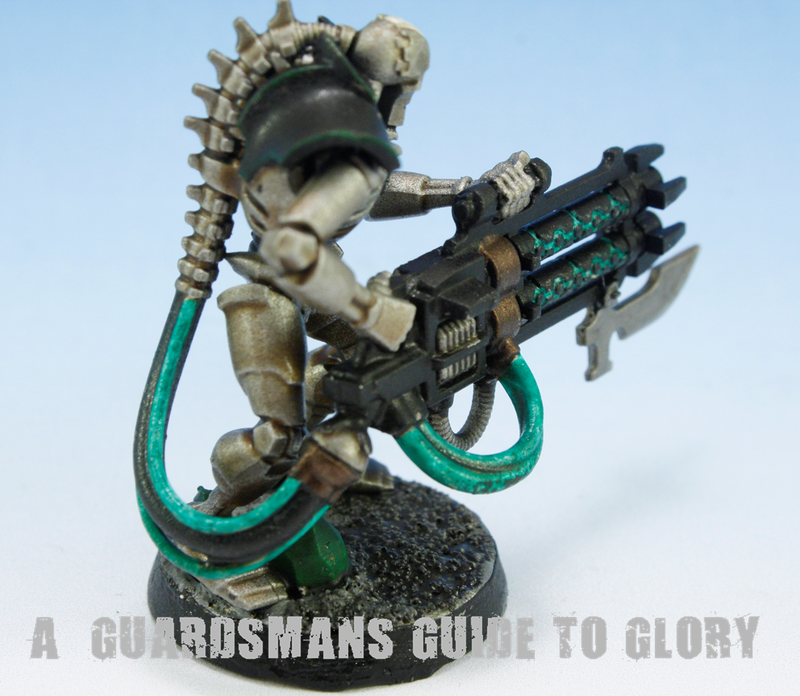 Its Boltgun Metal in a can, and you don't even need to undercoat the models first. Then i dipped them in 'Army Painters' Strong Tone Quickshade, another must-have for Necron army builders! Simply, dip, wipe off the excess, and leave to dry! 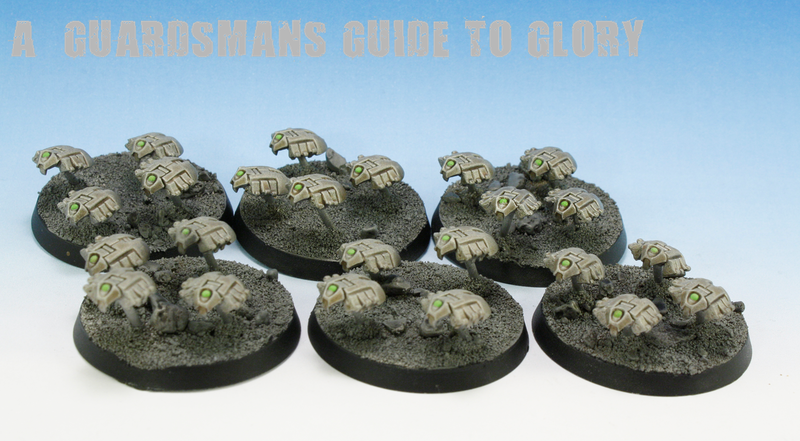 Its also a varnish, but its a bit to glossy for me so i sprayed them lightly with Purity Seal afterwards. The Gauss rods got a bit of attention here. I had the idea of using green Marble Paint to try and create a interesting effect! 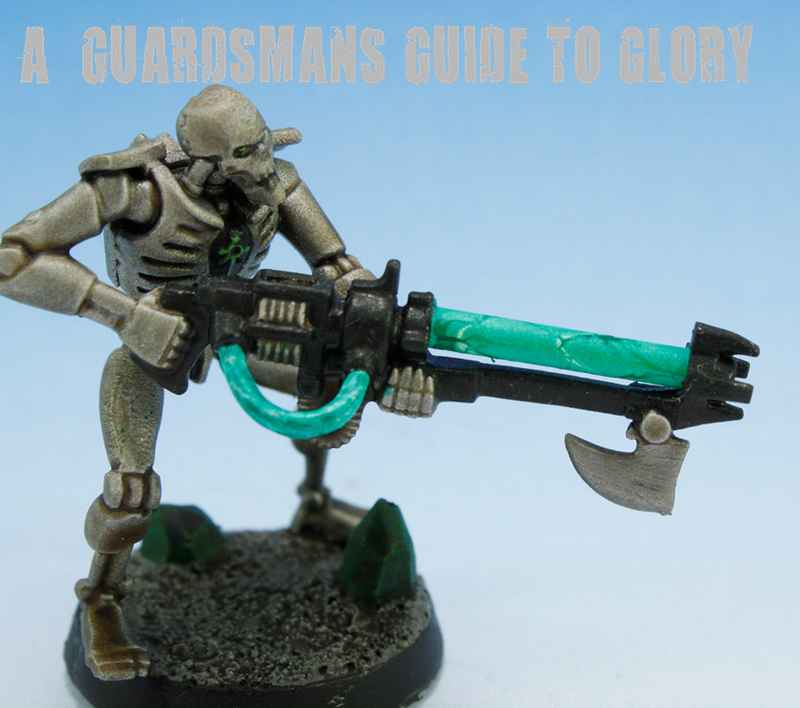 You put a few drops of this paint into a bowl of water, swirl it around a bit, then dip your Necron Gun Rod into the water. What you should get is a nice marble pattern, much like to one below! Now it should be said that this is one of the better Gauss Rods! It takes a bit of trial and error to get the technique right, and about 4 of my Warriors have dodgy Gauss Rods as a result! But once you've got the hang of it, its worth it! I also plan to apply this pattern to the crystal atop a Monolith as well! Finally, the icing on the cake! 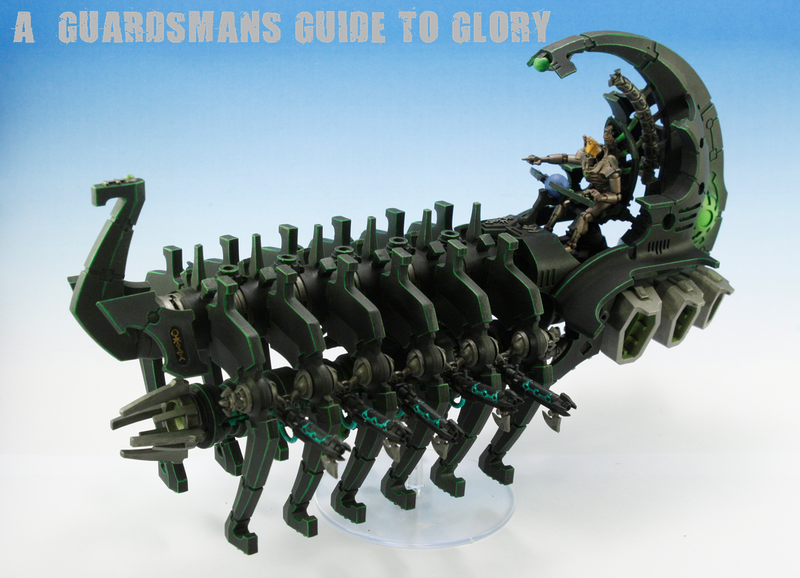 The first of two Ghost Arks! now, I LOVE this kit! 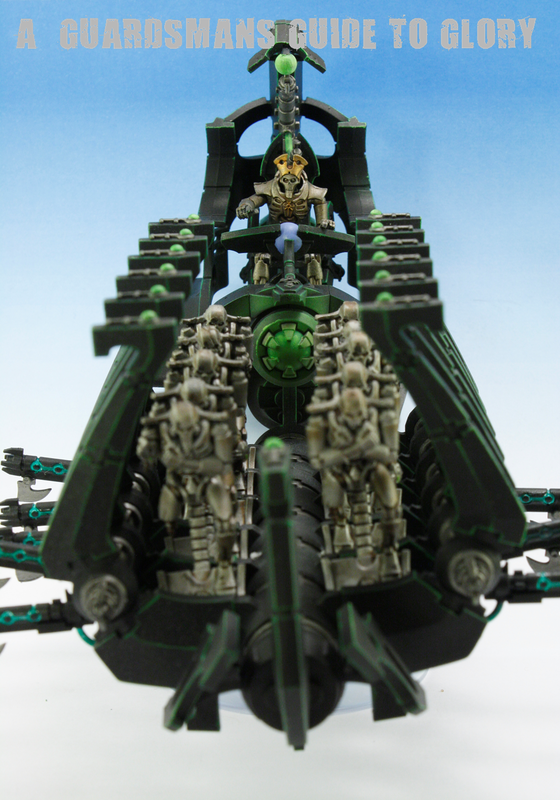 It took ages to put together and paint, but it was well worth the effort! This is the first kit that I've put together for ages where i thought "I'm really getting my moneys worth here"! 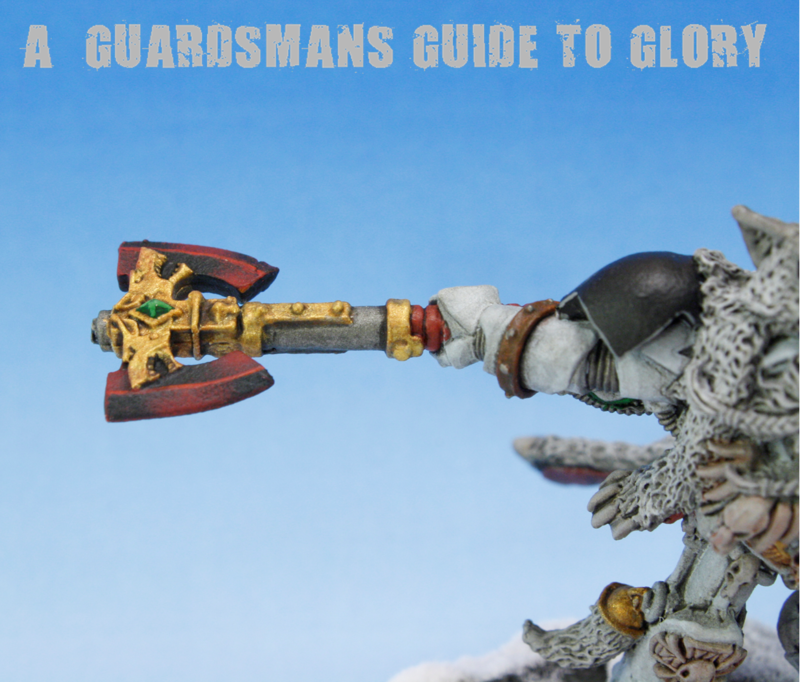 Definitely words you wouldn't associate with GW at the moment! 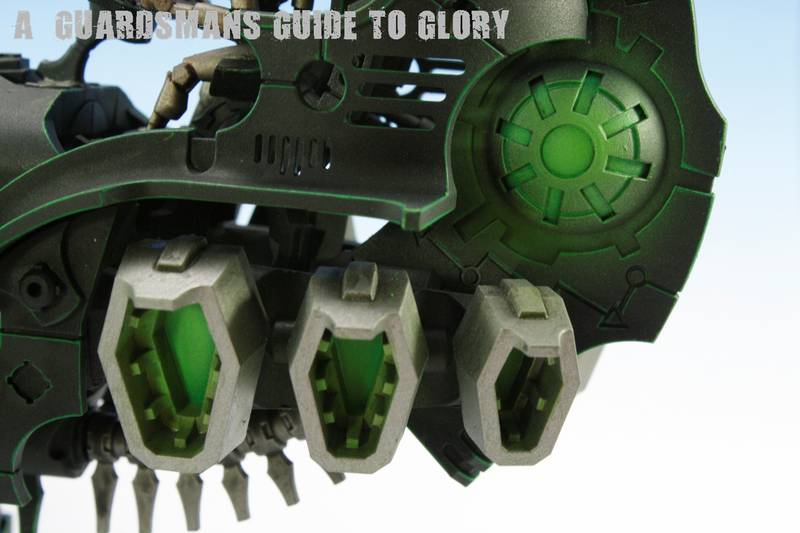 Starting with a base coat of Chaos Black, i edge highlighted all the angles with Snot Green and then did the same with Emerald Green. 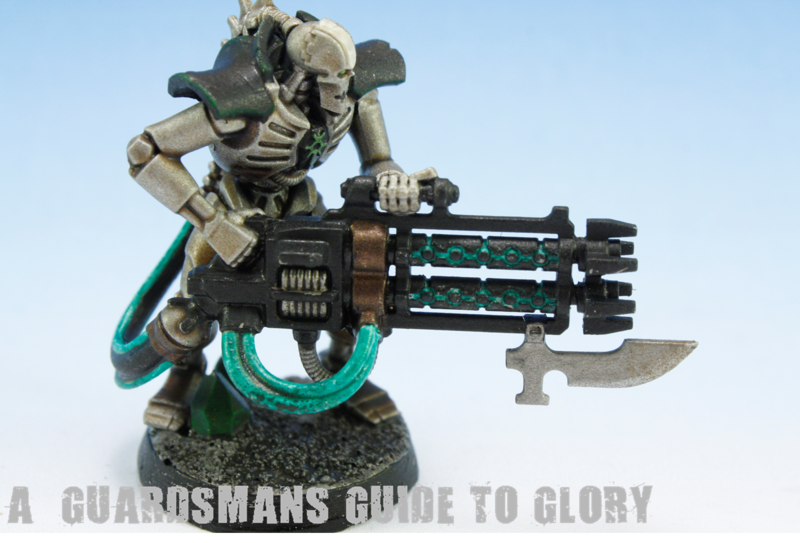 The Warriors were painted in the same way as the ones above and the Gauss weapons had the same treatment as the Immortals weapons. 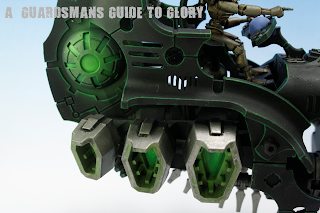 I used an airbrush to apply Emerald Green to the power source and the engine outlets. I think this gives a really sinister feel to the vehicle! I love it! One thing i will say about this kit: you'll need to paint a lot of it before assembling! It probably goes without saying but there it is. You've been warned! On the table now is a half build Doomsday Ark, which will probably be half painted by the time this post goes up! Its full steam ahead for the Necons, and i hope to have this army built and painted by Christmas! I'll also post an army list next week for dissection! The Axe of Morkai. 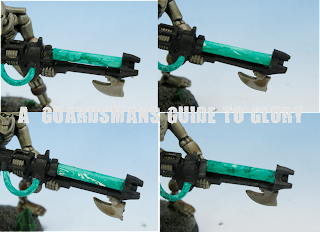 I used an airbrush to apply the fuzzy red patches of Red Gore and then applied a Blood Red highlight down the length of the blade. 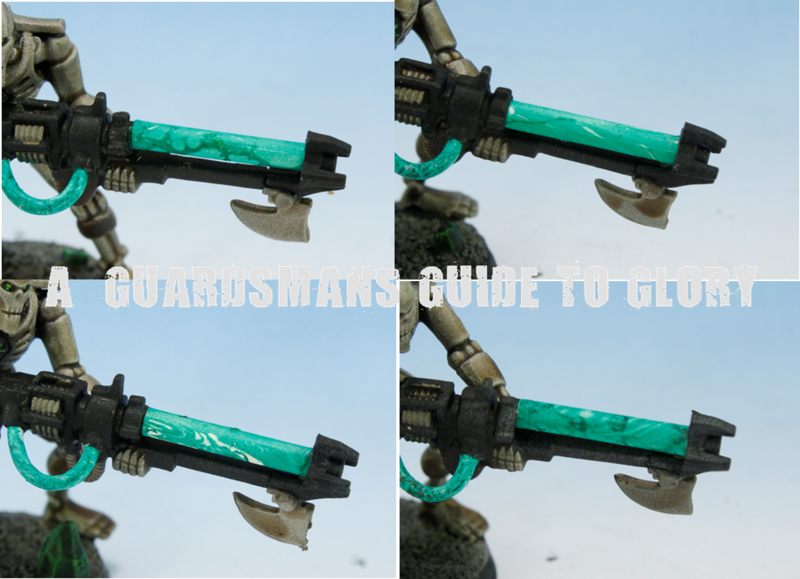 I didn't want to use the frosty effect that I've used on the rest of the armies Power Weapons, as this is meant to be a Warp forged blade (which i find highly unusual considering the Wolves' aversion to the Warp - to the point where they won't use Telaporters!!) You'll also notice that I've left the right shoulder pad plain black. I wanted to apply the Great Wolf transfer onto the pad and paint over it in Skull White. This was bloody hard, so i scrapped the idea. So, when in doubt - do nothing! 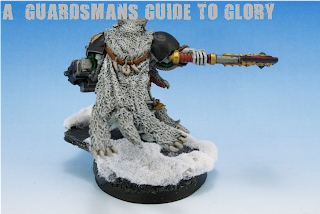 Until i think of an easy way to get a white Great Wolf transfer onto his shoulder pad, it'll remain blank! This brings me within spitting distance of army completion! Good job to with the new Necron Codex sitting on my desk and a pile of cool models! Just one more Lone Wolf and a squad of Long Fangs (which are on their was from eBay) and we're good! Last post i mentioned that i was constructing a Pumping Station for the Sewage Works Sub-Project. Over the weekend it was finished! This building was made entirely of cast resin panels. I also tried casting the panels in plaster to try and minimise the cost. 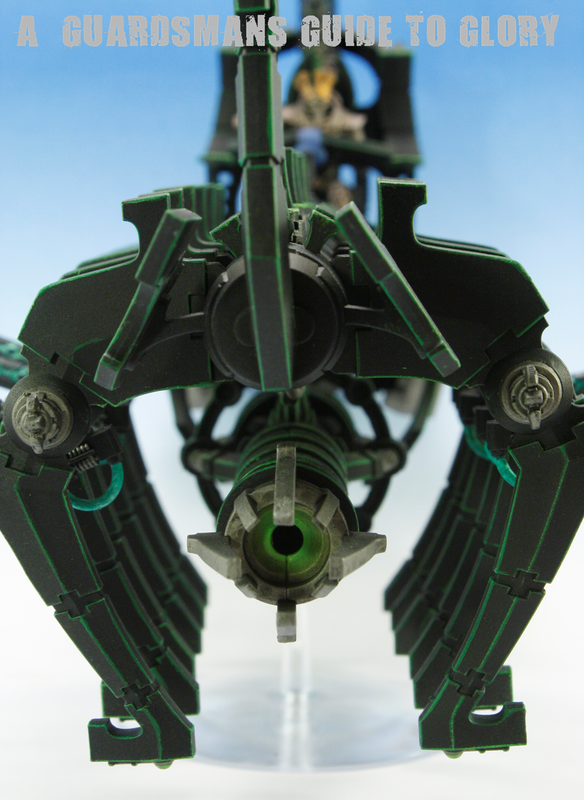 Although the detail as OK, it was a real pain to work with. It seemed to reject any type of glue used to fix the panels, and the PVA i eventually used took about 3 days to dry properly!! I won't use plaster for building panels again, but it'll be fine for other less detailed moulds. The roofs on the towers are just cardboard which will be painted to look like corrugated iron sheets. I wasn't just being lazy here! I went for flat roofs to make storage in a box easier! If I'd used GW building railings, the I'd be forever gluing the spikes back on!! The side of the Pumping Station. By this time i was fed up of the plaster, and used resin for the pipes! By the time this post goes up I'd have already started painting the Pumping Station, and the other Processors and Pipes will probably be on their was as well. 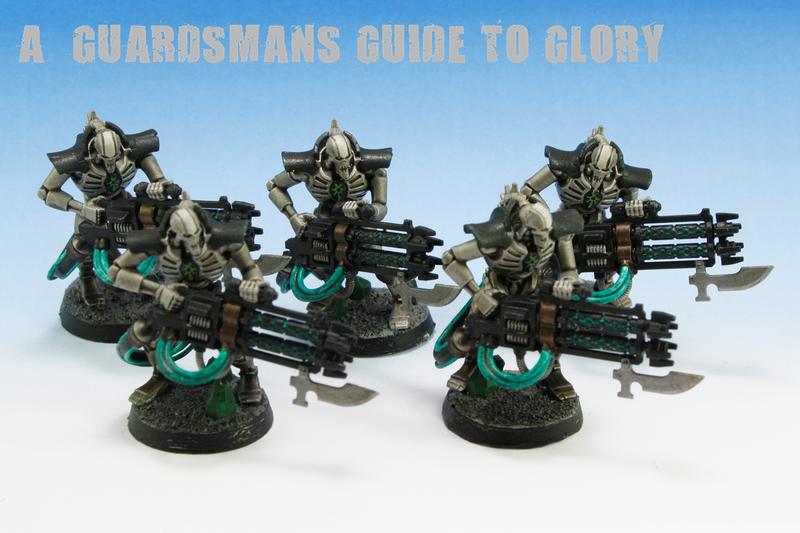 That being said the Necrons are released, so expect some news on them as well! First up its the parts of the Aqueduct that i showed you in the last post, now painted! Finally the connectors were sprayed with Tin Bitz and given a wash also. 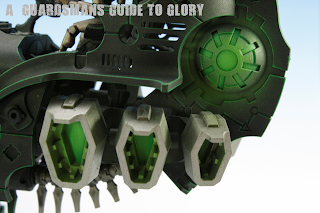 I'm glad i decided to paint the connectors a different colour - it breaks up all that Boltgun Metal! 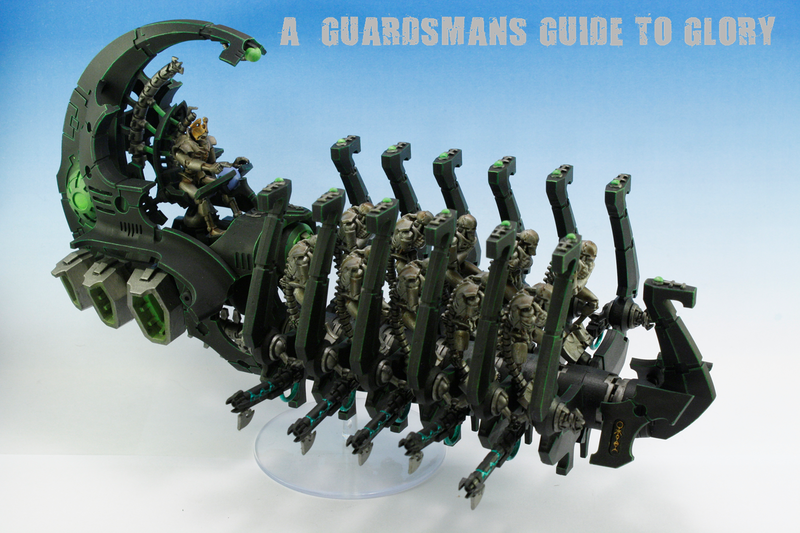 If i find time before the Necron release on Saturday I'll begin construction of the other two straight sections for this project. Secondly today, its the Apoc' Terrain Project: Promethium Refinery. Now I've mentioned this a few times since i completed the Gothic Cathedral project a few months ago, and today I'm going to outline exactly what it is! Its quite a list of Apoc' projects, but I'm getting through it quite quickly! You''ve already seen the Aqueduct, and that's about half way through, and also parts of the Sewage Works. The Sewage Works wasn't on the original list, but i figured as i had the terrain, it might as well be included! I've done the bulk of the construction on a Pumping Station for the Sewage Works today, which will bring this section of the project to completion. Well, it will once a load of Over Land Piping from Evil Mushroom Games arrives! Im trying to make each sub-project large enough to cover a standard 6 x 4ft gaming table, enabling me to use the terrain in normal games of 40K. This won't be possible for some of the projects though! With those two sub-sections nearly completed, I've moved straight onto the next one: the Subterranean Loading Dock! I saw these on eBay the other night in a sale, and immediately grabbed two for £10 each! Bargain! These are perfect for the Loading Dock and will service a set of four huge loading platforms which take supplies underground. Each crane is 1 meter high, and is actually remote controlled (but i wont be making use of that!) You can just about see the Genestealer on the top of the crane in the centre to give you a sense of scale! More on this sub-project once the other two are squared away! Phew! So you can see that I've been going flat-out on the terrain front this week, and while the ideas keep flowing, I'm gonna keep building! The Necron release will understandably hamper my construction timetable, but I'm determined to keep up the momentum!